The air is turning brisk, days are shorter, and the leaves are starting to change! My favorite time of year! It is time for comfort food and crockpots, soups and stews, breads and baked goods! Being mindful of healthy and satisfying meals, I created this tasty, spicy dish to help warm you up! 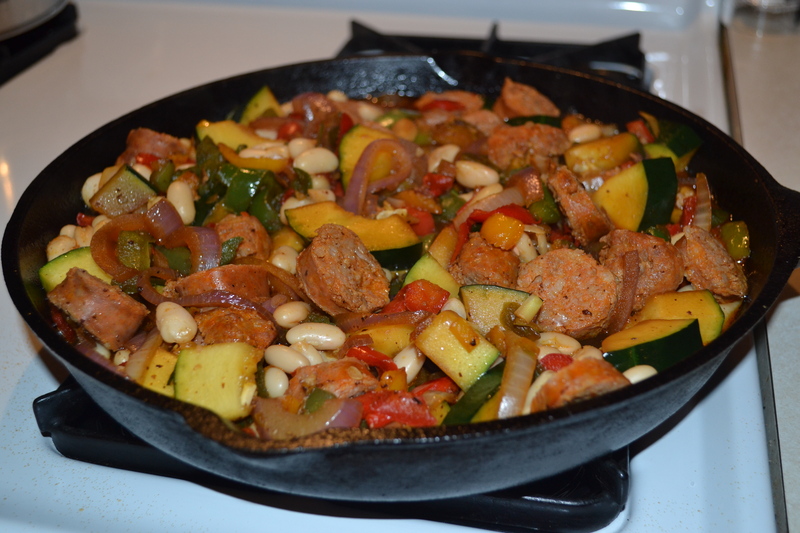 Start with cooking the sausage in a large skillet, when sausage is no longer pink in the middle and is nice and brown on the outside, remove it from the skillet. Slice into 1/2 inch slices. Set aside. In the same pan, add a little oil and sauté onions, green peppers, red peppers, zucchini, tomatoes, and any other vegetable you prefer! 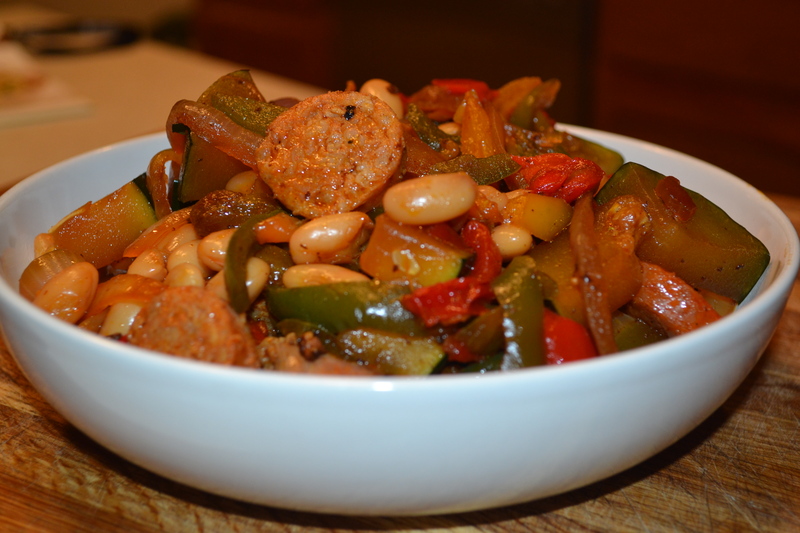 When vegetables are just crisp, not too soft, add a rinsed and drained can of cannellini beans and the sliced sausage back to the skillet. Gently toss together. Season with salt and pepper and you have a healthy, delicious, easy, and SPICY dinner! Of course if you don’t like the spicy sausage you can substitute it with the mild! Serve this with bread (I like the ciabatta bread with lots of sweet cream butter! oops there goes the healthy!) rice, or your favorite pasta. However, it really is satisfying without anything else! Tasteful Blessings is meant to not only create a physical appetite, but a spiritual one as well – so that we may feel satisfied and have something to nourish our body and souls. It’s all wonderfully connected, thanks to our amazing creator! I hope you will join me as we journey together enjoying good food and the good Word! Just as bread sustains us, Jesus and the Word of God sustains us as well!